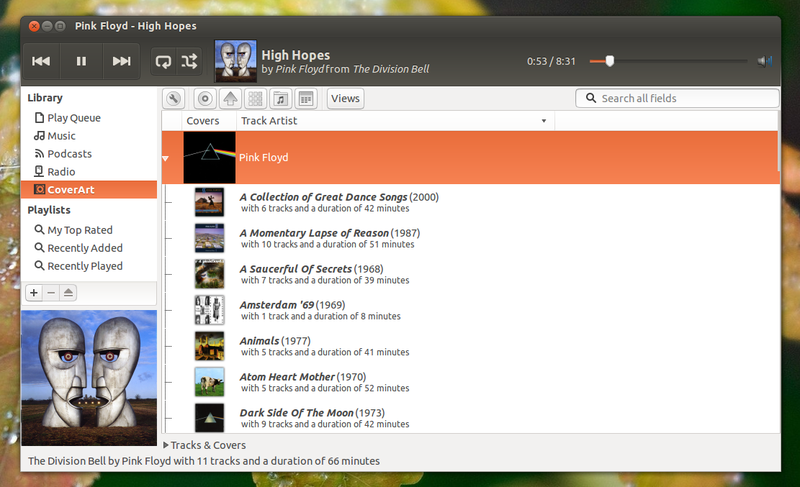 CoverArt Browser, a Rhythmbox plugin to browse and play music using an album art view, has reached version 1.0. Important: if you're using Ubuntu 13.10 and have upgraded to Rhythmbox 3.0, replace "saucy" with "trusty" in the PPA source list to install the Rhythmbox 3.0 compatible plugin. More info about that, HERE. 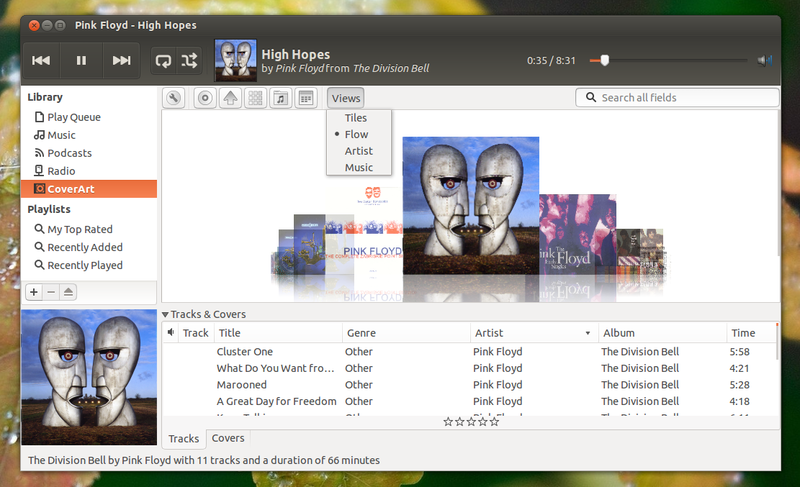 In the same PPA as CoverArt Browser, you'll find many other Rhythmbox plugins, including an equalizer, an enhanced last.fm plugin more, so check out: Rhythmbox Third-Party Plugins Ubuntu PPA. 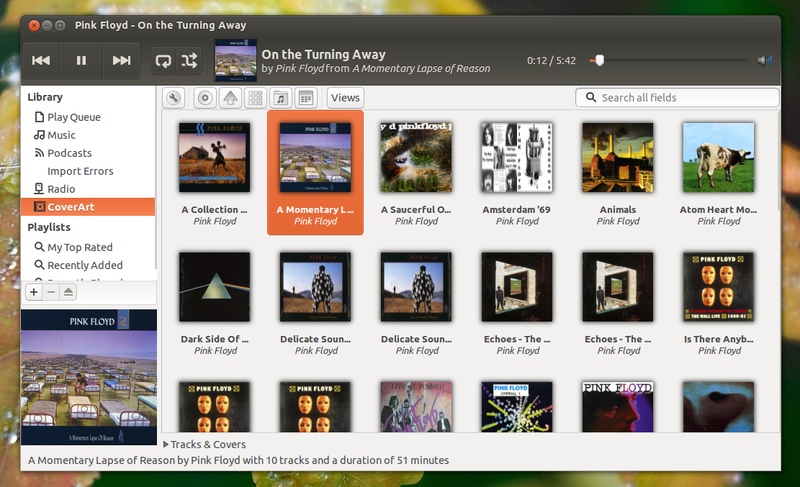 Arch Linux users can install Rhythmbox CoverArt Browser plugin via AUR. For other Linux distributions, see the CoverArt Browser GitHub page for instructions.